While the world of business is fast paced and frantic there are times when the entire staff comes together for the purposes of making succinct plans for the future. These conferences, or sales meetings, are important to the employees as well as the employer. It is during these meetings that goals are set and techniques are refined. If you are responsible for setting up sales meetings in your company, then there are several things that you need to remember at all times. The following information is meant to serve as a guide to help you lead a more productive and professional sales meeting. 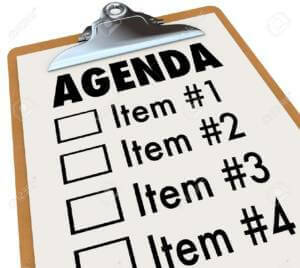 Perhaps the most important thing to remember is that you need to have a specific agenda for the materials that will be covered in your meeting. Having a plan is the first step in making your business meeting more productive. If you fail to have a proper agenda, it will become obvious to the other employees that you have not devoted adequate time to your craft. This is the breeding ground for sloppiness and for apathy. Make a plan and stick with it. Every sales meeting needs to embody the salespeople. This means your meeting needs to hold information that can be beneficial to the people who are actually doing the selling. 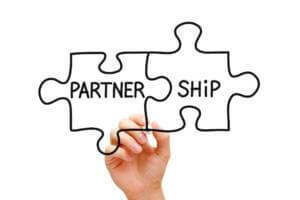 This is a great time to inject new people and new ideas into the conversation. Encourage your people to share and bounce ideas off of each other. This meeting is about making them more productive. Allow them to learn. This meeting is not about hearing you lecture. The number one mistake in many sales meetings is the dominance of one person. It is important that this meeting is a time of collaboration. Make sure that you are not the only one speaking. This is not the time to monopolize the conversation. On the flip side, it is important that you do not allow another individual to dominate the conversation as well. In order to foster a good environment, it is important that everyone have a chance to share. It is equally important that everyone feel his or her opinions are being listened to. 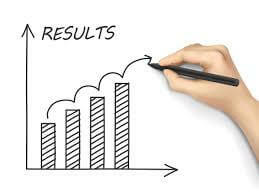 It is important that your meeting has measurable results. This does not mean you should take a poll of the people immediately following the meeting. What it does mean is that a sales meeting is meant to offer encouragement as well as fine details.Recognizing the individual performances during meetings promotes improvements throughout the sales force. A properly run sales meeting can energize your team and set your week on the right path. A poorly operated sales meeting could undermine your leadership. Perhaps the most obvious aspect of a sales meeting is that it should be fun. This is not the time for carnival rides or balloon animals but it is a time to make your employees comfortable and loose. Allow for creativity in both the atmosphere and the tone of your meetings. The Sales Coaching Institute offers effective instruction when you want to learn more about how to run a sales meeting efficiently. Get more great tips by visiting SalesCoach.us today.